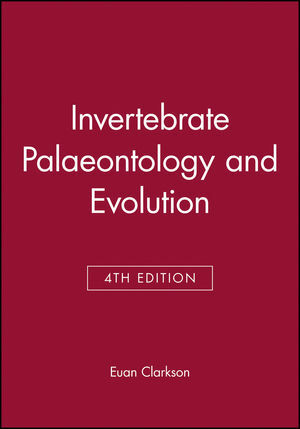 Invertebrate Palaeontology and Evolution is well established as the foremost palaeontology text at the undergraduate level. This fully revised fourth edition includes a complete update of the sections on evolution and the fossil record, and the evolution of the early metazoans. New work on the classification of the major phyla (in particular brachiopods and molluscs) has been incorporated. The section on trace fossils is extensively rewritten. The author has taken care to involve specialists in the major groups, to ensure the taxonomy is as up-to-date and accurate as possible. Euan N.K. Clarkson FRSE is a British palaeontologist and writer. Part One: General Palaeontological Concepts. 2 Evolution And The Fossil Record. 3 Major Events In The History Of Life.